It wasn’t pretty, but as they say, there are no “style points”. The Capitals rallied for the two points Sunday night in Detroit, going 1-1-1 on this brief three-game road trip. The Capitals are now “winging” it back home and will host the Flyers at Capital One Arena on Tuesday. Puck drop is set for 7:00PM ET. The Capitals struck first with a goal from Tom Wilson, and things felt different from the last three games, but it wouldn’t be long-lived. The Red Wings would respond with two goals for a 2-1 lead at the second intermission. But the Capitals would respond in the third period with goals from Travis Boyd and Michal Kempny to take the game 3-2. Braden Holtby stopped 23 of 25 shots for a .920 game save percentage. Jimmy Howard stopped 31 of 34 shots for a .912 save percentage. 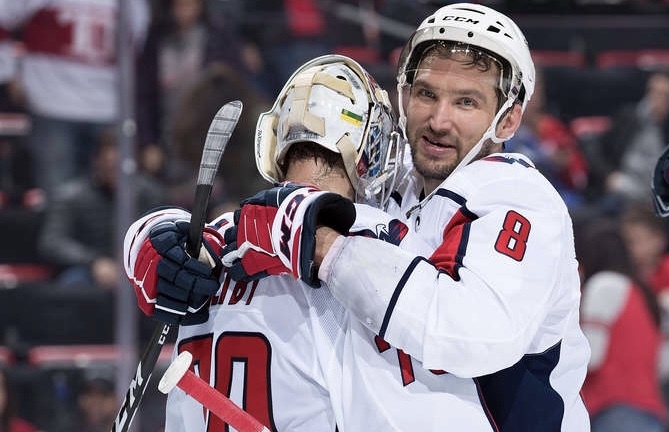 Since December 1, the Capitals power play is ranked 28th in the league with an 11.4% success rate, and has been shutout eight of their last nine games. The Red Wings entered Sunday’s contest with the league’s 23rd ranked penalty kill at 77.6%. For the game, the Capitals went 0 for 4 on the power play. As was the case in the previous game, there are signs of improvement, but for the record, the Capitals are now 1 for their last 30 power plays, and have been shutout nine of their last 10 games. The Red Wings went o for 3 on the man advantage. The Capitals entered today’s game against the Red Wings dead last in faceoff winning percentage at 47.1%. The Red Wings we’re ranked seventh in the league with a winning percentage of 51.6%. 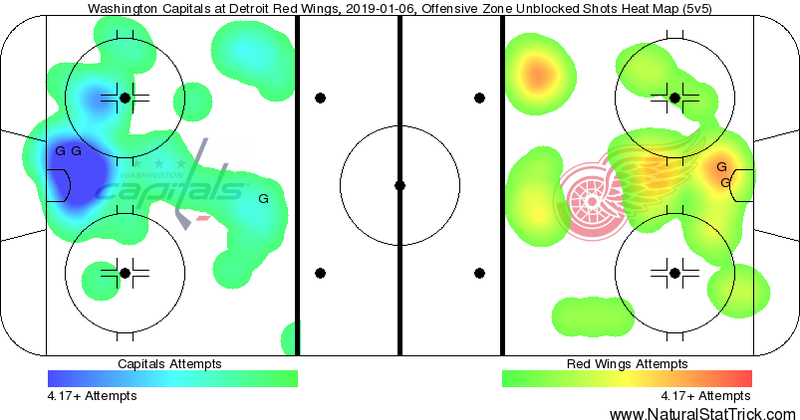 Once again the Capitals were beat fairly convincingly at the faceoff dot, as the Red Wings won 59-41%. (36 of 61). 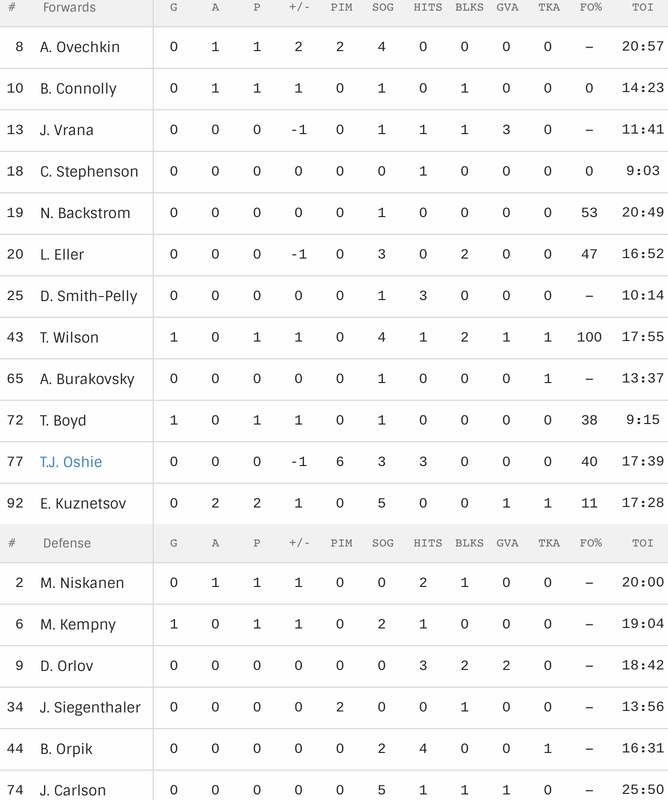 Brett Connolly was 0 for 1, Chandler Stephenson was 0 for 1, Nicklas Backstrom was 10 for 19, Lars Eller was 8 for 17, Tom Wilson was 1 for 1, Travis Boyd was 3 for 8, T.J. Oshie was 2 for 5 and Evgeny Kuznetsov was 1 for 9. Evgeny Kuznetsov registered his 300th NHL assist on the Wilson goal. In the Capitals’ last 15 games against Eastern Conference opponents, the Caps hold a 14-1-0 record, including a 8-0-0 record on the road. This entry was posted in News and tagged Detroit Red Wings, Inside The Numbers, Michal Kempny, Tom Wilson, Travis Boyd, Washington Capitals. Bookmark the permalink.